We’ll do our best to serve you, from the very first time you contact us. 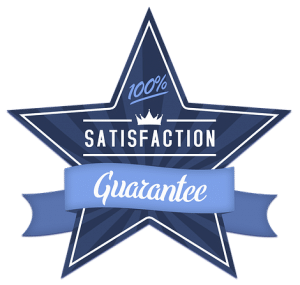 We’ll keep you updated very step of the way once your order is placed, and lastly, we offer you our satisfaction guarantee. No empty promises. If you are not satisfied with the result, your order will be revised! Please call us directly if you have any questions. We are always happy to help you with any questions you may have. Do you live in or near Perth? Then just come by our agent in Subiaco (check their hours and location) and get advice directly and personally. You can rely on us when it comes to your memories and your concerns. Each of your inquiries will be handled by us personally and with the utmost care. That’s why you will usually get an answer from us within the next 24 hours – or faster. Go to our contact page to leave us a message. We send you a notification by email as your order progresses through each step of our workflow. You will know exactly what stage your order has reached, from the time we receive it, to the time we send your media and personalised DVD back to you. We aim only for the highest quality. Our team works hard every day to offer you consistently high quality. We ensure this by regularly checking our way of working with internal audits. However, if you are not 100% satisfied with the result, please contact our customer service within two weeks of receiving your order and inform us of the reason for your complaint. In case of a justified defect, your order will be revised for free. In addition to a qualitatively optimal digitisation of your data, we also guarantee you a flawlessly functioning and personalised DVD with our standard service. In case of warranty, and if an alternative remedy of the problem is not possible, we will re-digitise your order at no additional charge. When does our satisfaction guarantee apply? We guarantee the best possible quality of your digitised pictures or films. Please note, however, that this is also determined by the quality of the originals. Old video tapes were originally captured by the video camera at much lower resolutions than modern TV’s and computer monitors now provide, and an out of focus photo will never be corrected through scanning. Nevertheless, our skilled employees try to get the most out of your analogue materials. 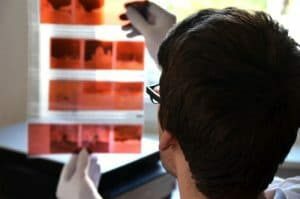 Each image is edited manually and therefore the adjustment of the contrast or the color correction is subjective and dependent on the particular viewer. Please inform us about visual defects (color, brightness) as soon as possible, within 2 weeks from the date we provide a link to your gallery.